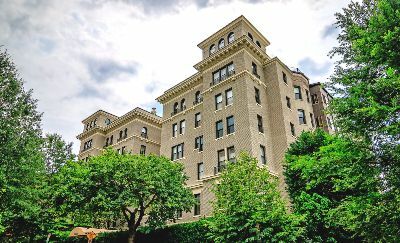 Located in Washington, DC’s exclusive Kalorama neighborhood, the St. Nicholas is a historic building that has been converted to luxury condos for sale. Featuring strong Beaux-Arts design principles, the six-story structure features two connected wings that project forward. The St. Nicholas is at 2230 California Street between 23rd Street and Phelps Place. Built in 1917, the building retains its antique charm and grandeur of a past era, while boasting a number of recent renovations, high-end finishes and modern features. There are 31 very spacious two and three-bedroom residences ranging from 1,300 to approximately 3,700 square feet. At the very top are two huge bi-level penthouses—one for each wing—with private rooftop decks. Recent condos for sale at the St. Nicholas have run from around $775,000 to over $1.5 million. Enter one of these elegant homes and enjoy high ceilings and large windows, allowing floods of natural flight to bathe the original hardwood floors. All units have private dining rooms and wood-burning fireplaces, and most also have private outdoor spaces. The living spaces have been nicely opened up, flowing organically into extra-large gourmet kitchens with long granite counters, stainless steel appliances and pendant lighting. Also worth noting are the renovated bathrooms with double-sink granite vanities, separate showers and elongated claw-foot tubs with spa fixtures. The neighborhood itself is also part of the appeal. Known for its embassies and stunning historic properties, Kalorama has long been home to high-level politicians and other notable figures. In fact, former President Barack Obama and family moved to Kalorama after leaving the White House. Other popular residential buildings in the neighborhood include The Carthage and 2039 Connecticut. 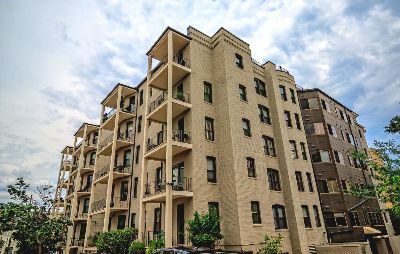 Residents at the St. Nicholas are also strolling distance to the lovely Kalorama Triangle Park, as well as a host of top bars and restaurants in Adams Morgan to the northeast and in Dupont Circle to the south. The community is served by the Woodley Park-Zoo/Adams Morgan Metro and the Dupont Circle Metro. To learn more, call District Partners Real Estate, LLC at 202-798-3600.